Lost your password? How to recover access to your account and set a new password. 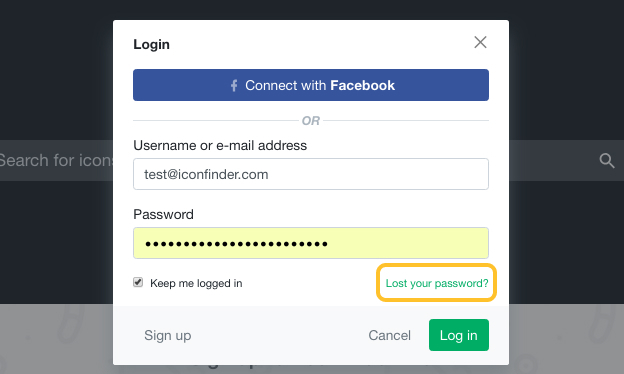 On the login screen below the fields to enter your username and password there is a Lost Your Password? link. 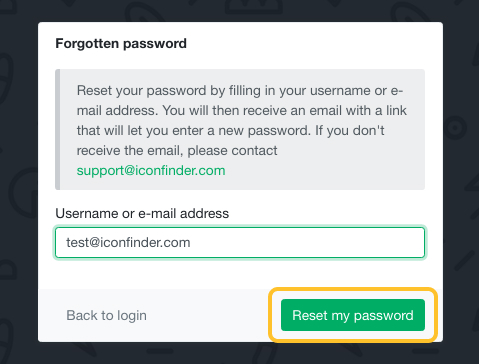 Enter your email or username and click on the Reset my password button. An email will be sent to you with further instructions and a link to create a new password. The email will look like the one below. Follow the link and create a new password. 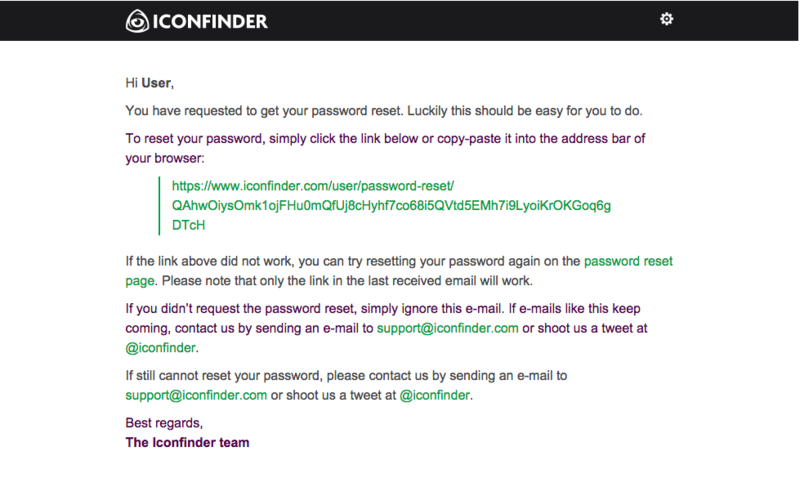 The email address (or username) you entered is not associated to any Iconfinder user account. Try with other email addresses (or usernames) and check if you receive the email. There can be a few minutes delay for the email to be received by you. Please be patient and check at a later time. The email went to your spam folder. Check your spam in case it is there. if you have made any transactions, we can find your account using the last 4 digits of your credit card and the date of the transactions.